Welcome back to the Where Else to Go podcast. We took a brief two week hiatus, allowing some time to update our site and take care of other technology related matters. We’re back this week with a practical look at a country that has always fascinated me – Israel. 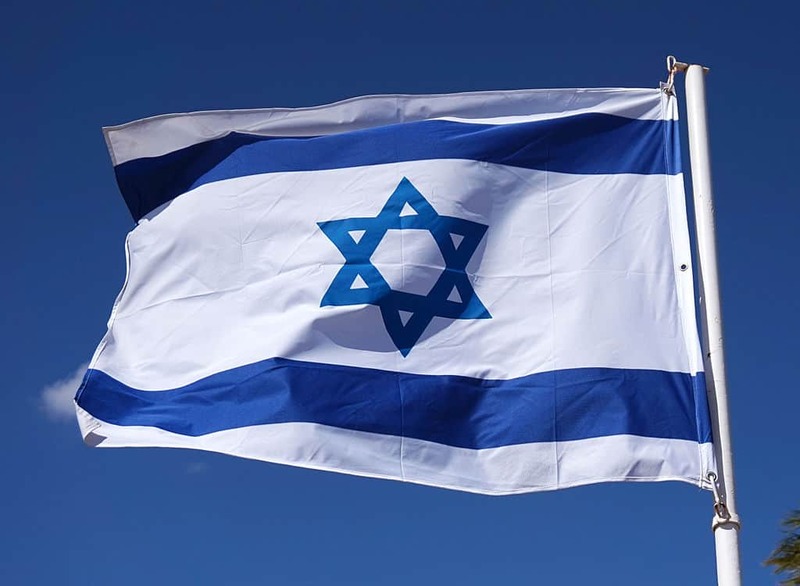 My guest is Susan Schwartz, Managing Director at ConvExx, Susan travels to Israel frequently both with family and to visit family, and shares some recommended sites, dispels the myths of danger, and gets us excited about seeing this country so rich in history. Thanks for listening! Remember, you can also find the podcast on iTunes, and while you’re there, please take a minute and leave us a rating and review. See you next week. Welcome to episode #14 of the Where Else to Go podcast. We’ve just hit the three month mark for the podcast, and I thank all of you – friends, guests, and listeners – who’ve helped me nurture this podcast from idea to reality. My guest today is Ramona Flume. Ramona and I traveled together to Japan a couple months ago, and I’ve been looking forward to having her on the show. We’re going to talk about the very Japanese tradition and experience of the onsen (bath). There are thousands of onsens around Japan and they are play an important part in Japanese tourism. The word onsen originally referred to hot springs and, by law, must include water that contains one of the designated chemical elements and have a temperature of at least 77 degrees Fahrenheit. Because of its mineral content, the water is often believed to have healing powers. 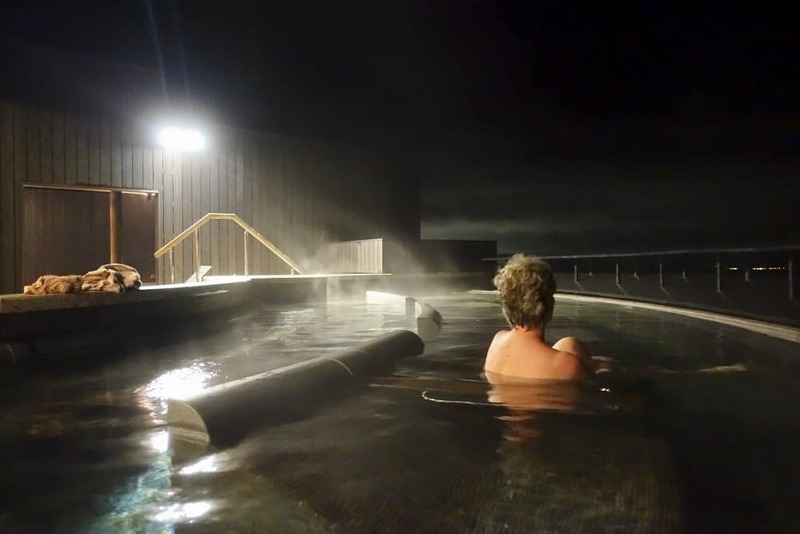 I can’t imagine a visit to Japan that doesn’t include a visit (or several visits) to an onsen, and I hope this episode, and Ramona’s tips, help get you ready for this where else to go experience. Ramona is a freelance writer and editor, contributing travel and cultural content for national magazines, newspapers, and websites. You can find more about her work on her website, RamonaFlume.com. She is also the co-creator of Loti, a new travel journal and global marketplace supporting independent artists around the world. Photo courtesy of Ramona Flume. When you think about traveling to Peru, you most likely think about Machu Pichu in the Andes. But today’s guest, Chris Backe, wants you to think about visiting the ruins and historical sites in Northern Peru for your next “where else to go” vacation. Chris is the blogger behind One Weird Globe, which explores the world’s offbeat and bizarre destinations, and is the publisher of Choose a Way books, the tap-your-own-adventure guidebooks to real-life destinations. He’s been seen in Atlas Obscura, Mental Floss, the Daily Mail, and dozens of other publications. Chris and his wife, a fellow traveler from Canada, have spent time living in Peru, and he shares what we’ve been missing in northern Peru. Chris says that northern Peru features an array of authentic, ancient, and well-preserved ruins from both pre-Inca and Inca civilizations. Machu Picchu, for all the attention it receives, ends up putting many worthy places in a big shadow. Offerings like the Huaca de la Luna (the temple of the moon) and Chan Chan (a UNESCO World Heritage) in Trujillo make for a pleasant stay – and having a beach town in Huanchaco only 20 minutes away is a nice bonus as well. Kuelap Fortress, one of the biggest stone fortresses remaining in the world, is located near Chachapoyas and is one of the most easily approached ruins in Peru. Chris has written about some of the other historical sites in this blog post. If you’re ready for something more exotic, a few towns in Peru have “witches markets”, selling potions and ingredients that look like they belong in a witches potion! 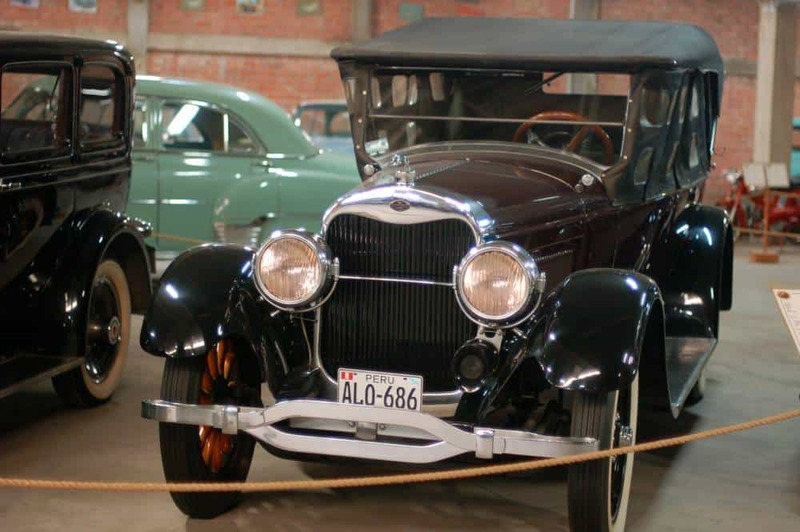 There’s also the Guinea pig breeding tour in Puno, the Museo del Cerebro (Brain Museum) in Lima, and a spectacular museum of 100+ cars (in photo above), an easy taxi ride from Lima. Besides his blog, you’ll find Chris on Twitter, Facebook, Pinterest, and Instagram. If you’re enjoying these podcasts, please take a minute to subscribe on iTunes. And don’t forget to leave a rating (5-stars is always nice!) and/or review. With its convenient location in southeastern Tennessee -it’s an easy getaway from Atlanta, Knoxville, Nashville, Hunstsville, and Birmingham – it surprised me that most people don’t think of Chattanooga. It seems like an overlooked city, a definite where else to go destination, and it could easily be added on to a visit to this part of the country. Joining me on Episode #12 to talk about Chattanooga is Cory Lee. 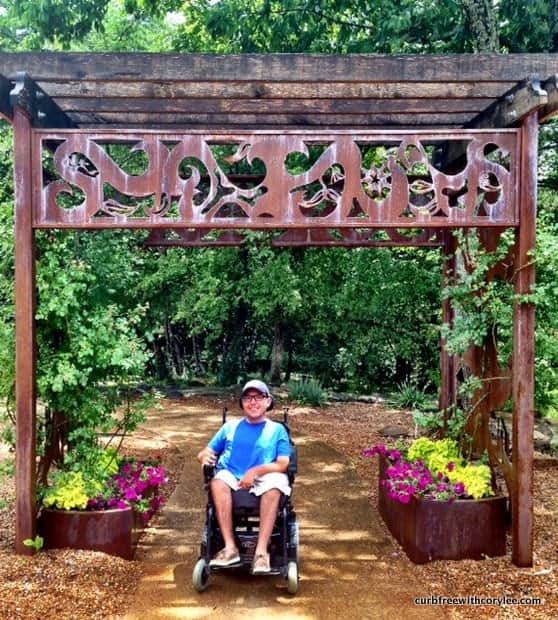 Cory Lee was diagnosed with Spinal Muscular Atrophy at the age of two, but that certainly has not diminished his desire to travel – wheelchair and all. He has been everywhere from Australia to Iceland, just to name a few, and he blogs about his accessible (and sometimes not so accessible) travel adventures on CurbFreeWithCoryLee.com. Cory hopes to inspire others to break out of their comfort zones and start rolling around the world. Getting around a city can be a bit frustrating for Cory at times, as he looks for accessible public transporation and taxis. He visits Chatannooga frequently as not only is it close to his home in Lafayette, Georgia, (about a 30 minute drive), but it’s a easy city for him to get around. Cory says there are plenty of superb restaurants, attractions, outdoor activities, and even an arts district in Chattanooga. Its’a a growing city, with new businesses popping up around the city. It’s also near the Ocoee River, where part of the 1996 Olympics took place, and a short drive from the Great Smoky Mountains. You’ll want to listen to the full podcast for all the places Cory recommends, but here are a links to a few stories that give you a little more background. Rock City – Located at the top of a mountin, the entire site is not wheelchair accessible. However, there is a special path for wheelchair usersthat is stair-free, so you can take in the spectacular views. Chattanooga Zoo – One of Cory’s favorite spots in Chattanooga. To follow Cory’s travels, and learn more about accessible travel, check out his website, Curb Free with Cory Lee. You can follow him on social media at Twitter, Facebook, and Instagram. If you’re enjoying these podcasts, please take a minute to subscribe on iTunes. And don’t forget to leave a rating (5-stars is always nice!) and review. Located on the southeastern coast of the Arabian Peninsula, at the mouth of the Persian Gulf, Oman is a travel destination that is surrounded by mystery and myths. Tourism is on the rise in Oman, and it is predicted to soon be one of the largest industries in the Sultanate. Part of the rise in tourism can be attributed to cruise lines making Oman a port of call, but the country’s tourism slogan – “Beauty has an address” – is helping to position it as a safe, affordable, and beautiful travel destinaton. On Episode #11 of the Where Else to Go podcast, I’m joined by Nicole Brewer, a Detroit native, who has been living and working in Nizwa, Oman, for the past three years. 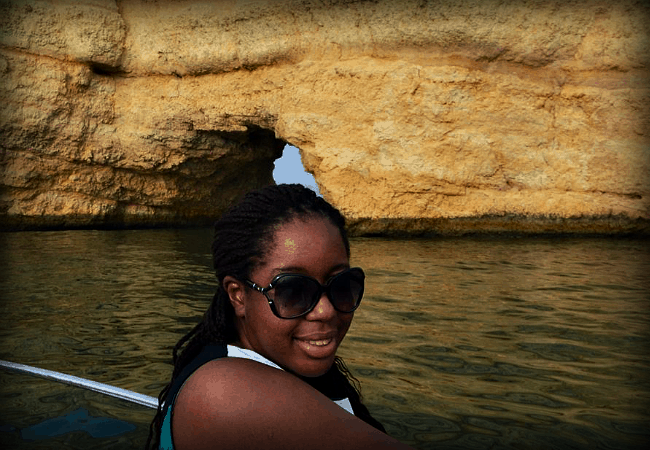 She says she’s found the locals to be extremely nice and accommodating, and wishes more people would experience the beauty that Oman has to offer. A couple of the resorts that Nicole loves are the Shangri-La in Muscat and a 5-star resort in the mountains, Alila Jabal Akhdar. And she impresses upon us both the beauty and the cultural aspect of tourism in Oman. To follow more of Nicole’s adventures and travel writing, check out her blog, I Luv 2 Globetrot, and follow her on social media on Twitter, Facebook, Pinterest, and Instagram. Thanks for joining us for Episode #10 of the Where Else to Go podcast. Although it wasn’t planned, we seem to be on an island theme, covering islands destinations from around the world. 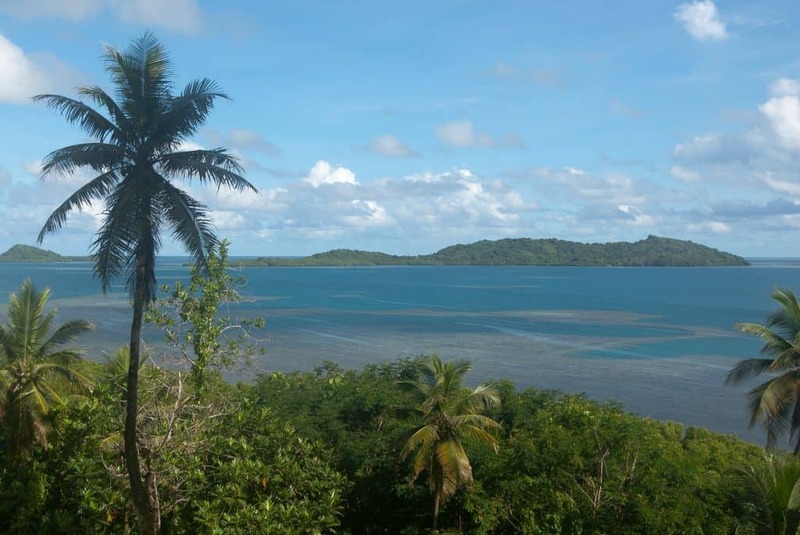 Our guest today is Gary Arndt and we’re talking about where else to go, Micronesia. Micronesia, in general, refers to the thousands of small islands located in the Pacific and comprised of several countries. These countries include: Federated States of Micronesia, Kiribati, Marshall Islands, Nauru, Palau, and the United States with three territories (Guarm, Northern Mariana Islands, Wake Island). Gary talks about his visits to this part of the world, gives some recommendations for divers and non-divers, and explains why – apart from location – this is one of the easiest parts of the world to vist. In March 2007 Gary sold his house and he’s been traveling around the world ever since. So far he’s visited all 7 continents, over 175 countries and territories around the world, all 50 states and every US territory, every Canadian province, every Australian state and territory, over 125 US National Park Service sites and over 300 UNESCO World Heritage Sites. Gary is a self taught travel photographer who was named Travel Photographer of the Year by both the Society of American Travel Writers and the North American Travel Journalists Association. You can read about Gary’s travels and see his award winning photography on his blog, Everything Everywhere. You can also follow and connect with him on social media: Twitter, Facebook, Pinterest, Google+, and Instagram. Photo courtesy of Gary Arndt. Welcome to Edpisode #9 of the Where Else to Go podcast. Thank you for support as this podcast has grown and evolved, it means a lot to me. 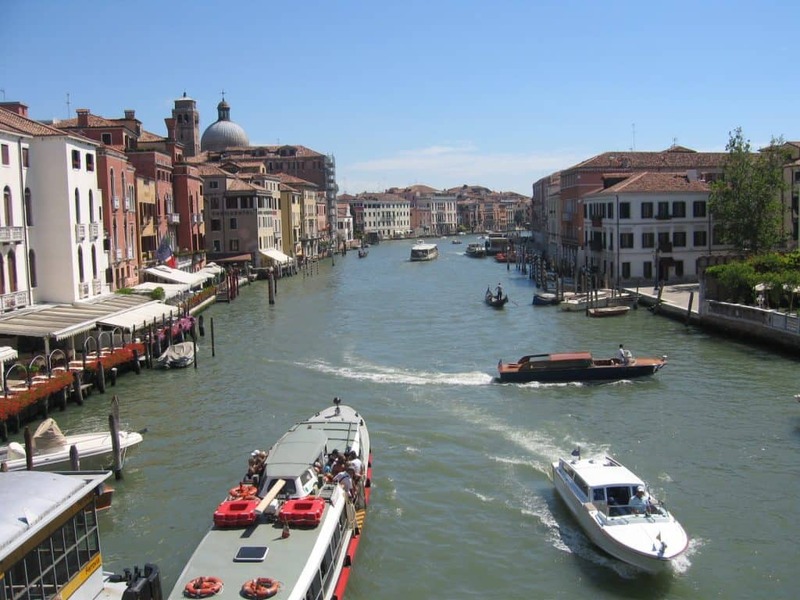 Today’s guest is Jennifer Dombrowski and she’s going to help us understand why Venice gets such an undeserved bad rap and give us some suggestions for turning that around, making Venice a great where else to go destination. We talked about how, just a few streets off the main area, you can find delicious, reasonably priced food, how to enjoy the other islands, and information on getting around and enjoying Venice. Burano: famous for its fisherman and lacemakers. Jennifer wrote a guide to Burano that’s worth checking out. Many of the recommendations Jennifer made in the podcast are small spots that don’t have websites. When in Venice, find a local who can help you location the place, or maybe even make another recommendation. Here are a few spots Jennifer recommends that do have websites. Jennifer Dombrowski is a location independent globe trotter who is based in Italy. She works as a freelance social media strategist and is an award-winning travel writer. She is also a travel correspondent on Traveling on the American Forces Radio Network. Luxe Adventure Traveler was named one of the top travel blogs to watch by the Huffington Post and has been featured by top publications such as National Geographic, CNN, Buzzfeed , and The Telegraph. Her iPhoneograpy has also been featured on publications such as USA Today and Travel + Leisure and on the Travel Channel. You can read about Jennifer’s travels on her blog, Luxe Adventure Traveler, and follow her on social media: Twitter, Facebook, Pinterest, and Instagram. If you’ve enjoyed this podcast, you can subscribe on iTunes. While you’re over there, please take a moment and leave us a rating or review. That helps this very new podcast get discovered by others. I hope you’ll join me next week when we’ll be talking about Micronesia. Thanks so much for joining me for Episode #8 of the Where Else to Go Podcast. We’re on an island theme right now, having already covered Marco Island, Florida and Lihue, Hawaii. This week we’re off to Ecuador and the Galapagos Islands with Cheryl and Lisa of What Boundaries Travel Media. 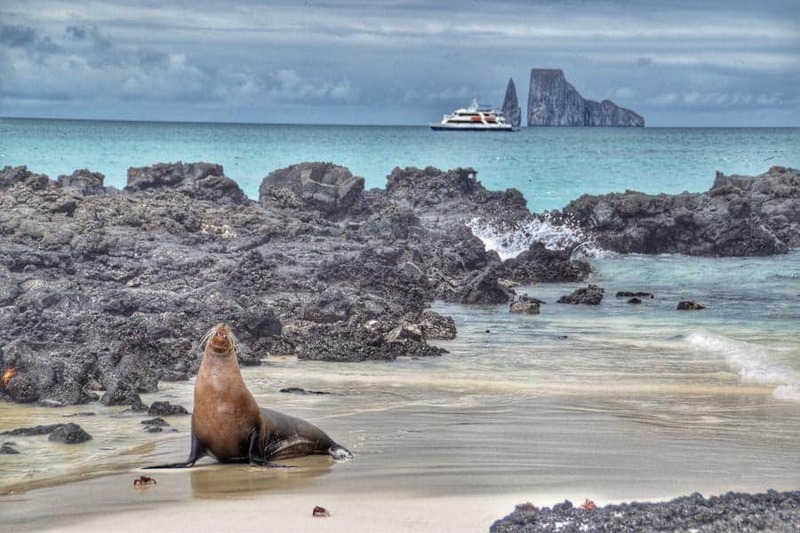 There are many options on how to experience the Galapagos. You can fly into one of the main islands like San Cristobal and make it your home base while planning day trips to the various islands, or you can opt to take a luxury tour with a group like Ecoventura where your yacht is the “home base” and you travel between the islands with a stop at a different island every day. It surprisingly easy to get to the islands – there are many flights through Panama or even directly into Ecuador (another beautiful place), then it’s just a quick flight out to the islands. Chery and Lisa started traveling pretty much full time in 2007 after leaving corporate jobs and have since visited 6 continents with sights on Antarctica to hit their goal of all 7. Take a listen to learn why the Galapagos Island should be on your where else to go list. Then follow Cheryl and Lisa on Twitter, Facebook, Pinterest, Google+, Instagram and YouTube. See you next week when we we’ll be talking about Venice, Italy. Welcome back to the Where Else to Go podcast. A big thanks to those of you who’ve given us a rating or left a review on iTunes. If you haven’t done so yet, what are you waiting for? Episode #7 features another island (last week was Marco Island in Florida), but this week we’re heading west to the island of Kauai in Hawaii. Joining me as my guest today is author and adventurer, Heidi Siefkas. Originally from small-town Wisconsin, she now lives in Kauai and also calls the Midwest and South Florida home. Heidi’s books include When All Balls Drop and With New Eyes . Currently, Heidi is writing her third book, Cubicle to Cuba, which features a humorous collection of stories about her travels to Cuba, Peru, New Zealand, Italy, and other far-flung places. You can connect with Heidi on your favorite social media platforms: Twitter, Facebook, Pinterest, Google+, Instagram, and YouTube. Be sure to join us next week when we continue talking about islands, this time the Galapagos. Welcome to episode #6 of the Where Else to Go podcast. I’m still not sure I have the hang of podcasting yet, but I am having a lot of fun talking about some great travel destinations with some great travelers. If you’re enjoying the podcast, please take a moment and give us a rating and/or review on iTunes. That simple little thing helps a lot in getting the podcast noticed by others. Thanks! Now, on to today’s show on Marco Island, Florida. My guest for this episode is Kay Dougherty. Kay left corporate life in Boston for beach life in Florida and time to travel the world. She talks today about her current home base in Marco Island, Florida, telling us why it’s a great where else to go spot for our next beach vacation. Kay says there are all kinds of things to do on Marco Island – many involving water activities. You can charter boats for pleasure or deep sea-fishing trips. Take day trips to see dolphins, go shelling or to see the sunset or just to explore the 10,000 Islands. There’s a ferry to Key West. One thing she’s looking forward to doing is taking a seaplane to Key West with Salt Island Seaplanes (out of Naples). Marco is a good place for adults only or families (not so much for singles or solo travelers). Lots of free activities – music concerts in the park, two beautiful public beacheas, weekly farmers’ market, art shows, etc. 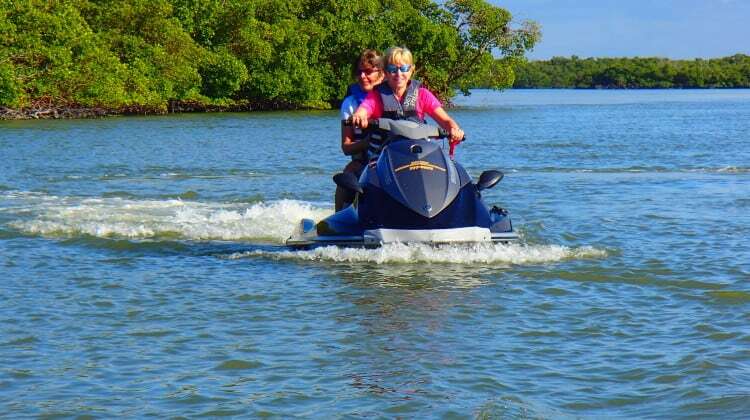 A really fun thing to do is to go jet-skiiing in the 10,000 Islands with Captain Ron’s Everglades Jet Ski Tours. There’s an excellent small local museum about the history of the island. Marco is very low key, the complete opposite of the east coast of Florida. If you’re looking for a low key getaway, Marco Island may be the perfect spot for your next beach vacation. If you want you learn more about Kay you can follow her on Blonde Brunette travel, a humorous travel blog primarily about international travel with her sister. All continents, cultures, means of travel and experience are considered, explored, critiqued and found to have some humore in them. Kay shares useful information and honest opinions; if she can get you to snort a drink out your nose over something she’s written, she considers it the ultimate compliment. You can also connect with Kay on social media: Twitter, Facebook, Instagram, Google+, and Pinterest. 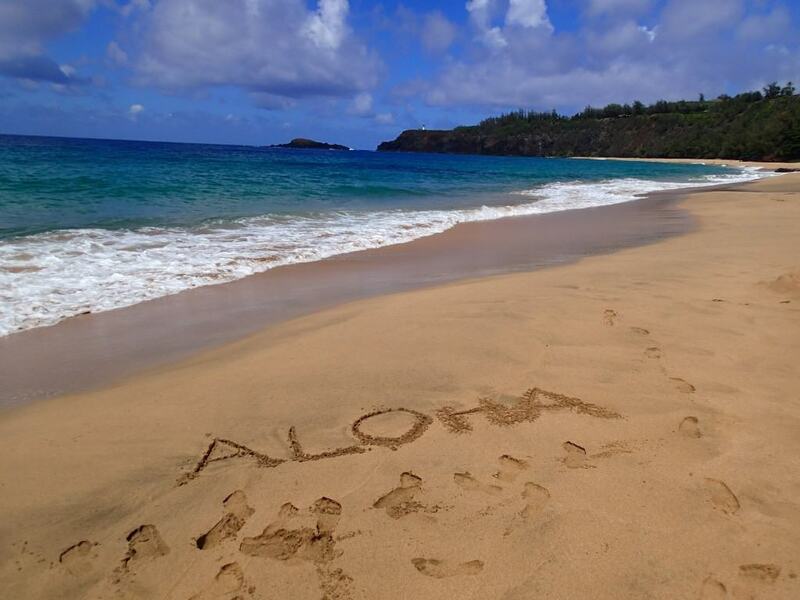 Be sure to join us next week when we visit another island, Kauai.